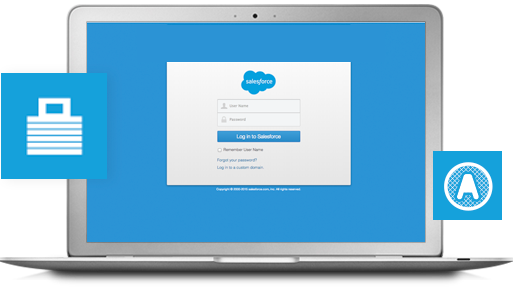 Use your existing Salesforce credentials to log into dataloader.io without the hassle of downloading an application. dataloader.io’s uses oAuth 2.0 so you can get started quickly without compromising security. 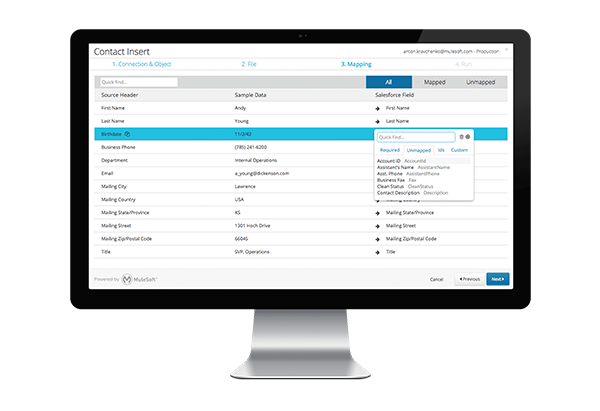 Spend less time mapping data from the source file to the Salesforce fields with features such as auto-mapping, keyboard shortcuts and search filters. 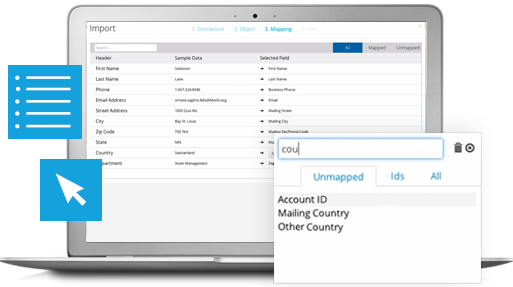 Export related objects through a single pull, removing the manual and redundant work required to pull multiple datasets and reassociate them in Excel. 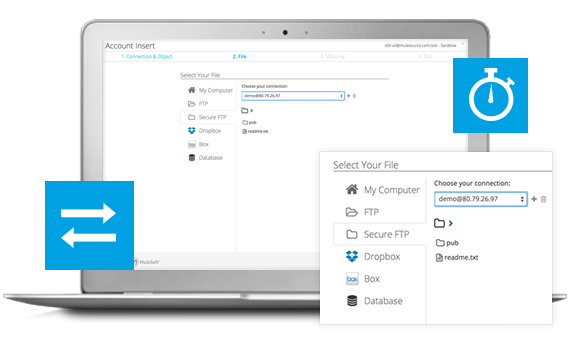 Import and export data directly from Box, DropBox, FTP and SFTP repositories quickly and easily. 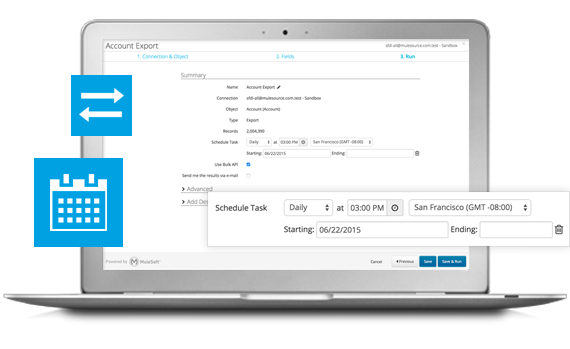 Schedule tasks to import and export data automatically on an hourly, daily, weekly or monthly basis. Looking for a more sophisticated connectivity solution? 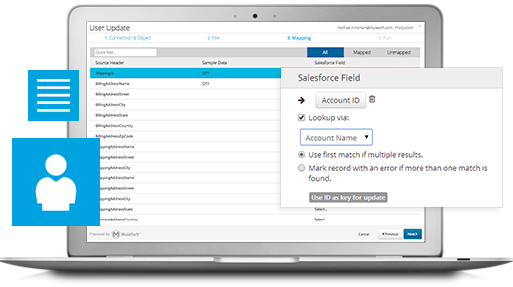 dataloader.io is powered by MuleSoft’s Anypoint Platform, a unified solution that connects Salesforce to anything. 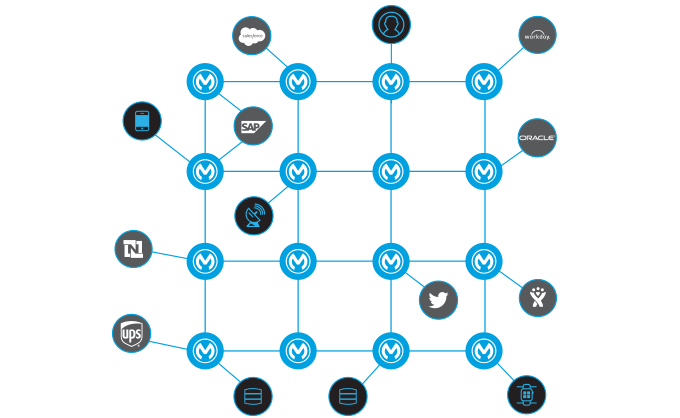 To learn more about how MuleSoft enables companies to connect faster at a significantly lower total cost, contact us today.